Everybody run for your lives! The inmates have taken over the asylum! That’s right, Jason Soto has gotten his hands on the show again, and managed to produce an even more anarchic show than usual, because it’s time for another round of Ask the Lamb. That’s the motto for the Ask the LAMB feature here, a segment that finds its host Jason Soto trolling Yahoo Answers for truly insane questions. It can bring some seriously credible answers from a wide variety of film bloggers. It can also bring some seriously funny answers. Occasionally, it does both. If you got a problem, yo, we’ll solve it. Just to warn you right now, there is a question at the end of this post that is, let’s just say, Not Safe For Work! So if you are a super sensitive reader, do not read the final question. You have been warned. Does anyone agree that Ryan Reynolds should play Kevin Pietersen in a movie of Kevin Pietersen’s life? And we’re back!! Sorry for the long break, but I had some personal things going on in my life along with it being Halloween. Oh and the whole LAMB changing. So now all that’s over with, let’s get back to answering those pesky questions! In the event of a zombie outbreak, will I have enough to survive? 9 out of 10 doctors recommend reading Ask The LAMB every other week. The 10th doctor? Screw him, man! This week’s guest contributor is our very own shepard, Joel Burman! Why do they make awful sequels to movies? Mean Girls 2?? Legally Blonde 2?? Seriously? Welcome back to another heart pounding edition of Ask The LAMB! Let’s get right to it! This week’s guest contributor is Nick Jobe from Random Ramblings of a Demented Doorknob! Alrighty. This edition of Ask The LAMB is going to very interesting and different for a few reasons. One of them is Lindsay from French Toast Sunday had to retire due to her busy schedule. I greatly appreciated her taking the time out in helping out and she was a great sport and gave great answers. But no fear because I have found someone to take her place. 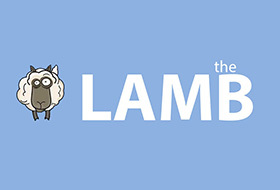 Can you even HANDLE a fourth edition of Ask The LAMB? I have my doubts! All I need is for you to prove me wrong. by killing and eating them, who would you choose and why?